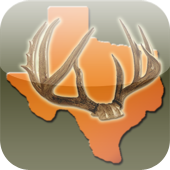 Deer Calls & Tactics Pro is the most comprehensive deer call mobile app for the iPhone and Droid and the latest hunting app released by RedSnake Enterprises — creators of the top ranked solunar tables app, iSolunar™ Hunting & Fishing Times. Deer Calls & Tactics Pro provides 12 of the most effective deer calls & sounds for both bucks and does for all phases of the “Rut”. Click to play the deer calls right on your iPhone’s speakers or hook up to external speakers for amplified sounds. Not only does Deer Calls & Tactics Pro provide life-like deer sounds, but it also gives you expert advice on how and when to use each call. It is the perfect tutorial for perfecting your deer calling techniques. Deer Calls & Tactic Pro also includes dates and descriptions for the different phases of the Rut with tips and tactics for calling during each phase. Maximize your deer hunting success with Deer Calls & Tactics! From Deer Calls & Tactics deer call screen you can select calls such as the Contact Call, Doe Grunt, Doe Bleat, Doe Estrus Bleat, Buck Grunt, Buck Bawl, Tending Grunt, Tending Click-Grunt, Snort-Wheeze, and Rattling and Sparring. Once you’ve selected your call, click to play the selected deer sound right on your iPhone or Droid’s speakers. Deer Calls & Tactics detailed view also gives important information about what the call means and its effectiveness at different times during the Rut. Select from the Rut Phase screen to get the dates and descriptions for deer behavior during that particular phase of the Rut. Deer Tactics & Calls provides you with tips and tactics on the best calls, scents, and hunting techniques to maximize your success during that phase.